Each couple will meet with the Rev. Tom Herbek three times to develop a unique ceremony for their wedding. 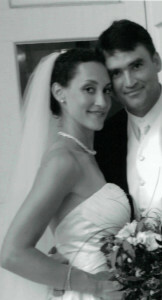 Pastor Herbek has many years of experience in developing wedding ceremonies as both a pastor and hospital chaplain. Your ceremony may be traditional, non-traditional, or a combination of elements which are special to you. Pastor Herbek will also direct your wedding rehearsal for you. Each couple will need to schedule a meeting with our organist, Denise Morphy, in order to pick the special music which you would like played before, during and after your ceremony. Our magnificent Johnson Pipe Organ has been completely refurbished, and Denise will be happy to play various pieces for you to help you in making your decisions about music for your ceremony. 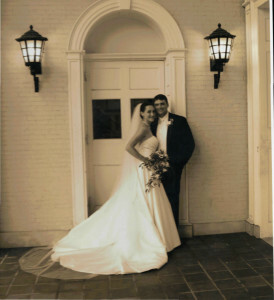 Our historic sanctuary, built in 1812, can comfortably accommodate wedding guests from 50 people to 700 people. With the white wood box pews and the lush green isle carpeting, along with the simplicity of the windows and the dark wood of the pulpit area, you will experience a sense of beauty, joy, and peace when you enter the sanctuary. It is a wonderful setting for a wedding. For more information or to check the availability of a date on our calendar, please e-mail us at pastor@canandaiguachurch.org, or call the church office at (585)394-2184. The fee for holding a wedding in our church is $950 ($450 for church members) and must be paid in advance before your wedding can be entered on our calendar. Please write the check for the total amount to “First Congregational Church” and designate it “Wedding Fee” with the date of your wedding on the memo line. We look forward to the possibility of planning and celebrating this special moment in your lives with you.